Water damage, dry rot, mold, and fungus are not the type of words most people talk about on a regular basis. Contractors, those who repair water damage material, talk about it plenty! I have had countless conversations with owners and managers about the cause, how to detect water damage, early signs of rot, and removal of damaged materials. And yes, what is it going to cost to get rid of it. Nobody want to pay good money to do repairs on their home, but a good maintenance program will go a long way in saving you money in the long run. Often times the homeowner can do the work themselves, you’d be surprised how easy some of the things are to keep up on the property. 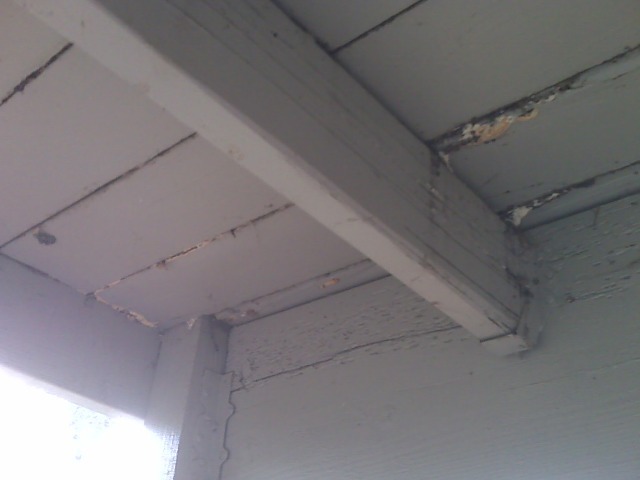 What can I do to reduce the dry rot, fungus, and water damage type of problems? Glad you asked. A good starting point to remember: Wood always loses to water and dirt. That’s why we paint, stain, treat, and clean our homes. Let look at some examples. If you have a deck with planter boxes, make sure water and dirt aren’t building up around and under the boxes. That does not mean that if you spill some dirt and it rains, your deck boards will decay. Moist dirt sitting under the boxes over time will be a problem one day. Move the boxes occasionally, hose off the deck let things dry up for a little while. Pretty simple. Keep an eye out for vegetation growing where it should not be growing. Grass or weeds growing out of the top of some trim boards in the back of the house is not normal. That probably means both water and dirt have gathered to germinate some seeds. This is not good. Clean it up with a brush, hose, and let it dry out. 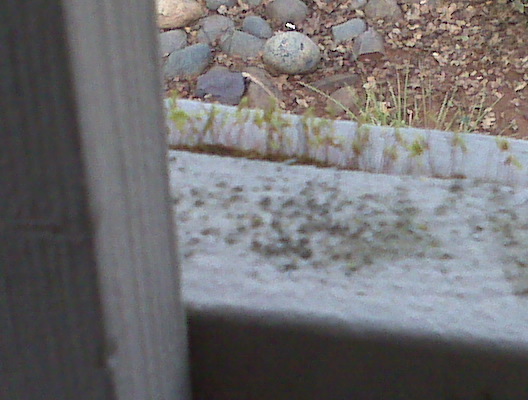 Sometimes you may see mushroom like growth on the wood siding, this is not normal, this would indicate a problem. Do not ignore the problem it will only get worse if nothing changes. If these types of water and dirt issues are not addressed, the problem will grow into bigger problem and outside help may be necessary. Imagine what a deck post or some siding may look like if the irrigation sprinklers have been spraying on the wood for years, day after day. Or dirt has eroded down the side yard and onto the siding bottom. 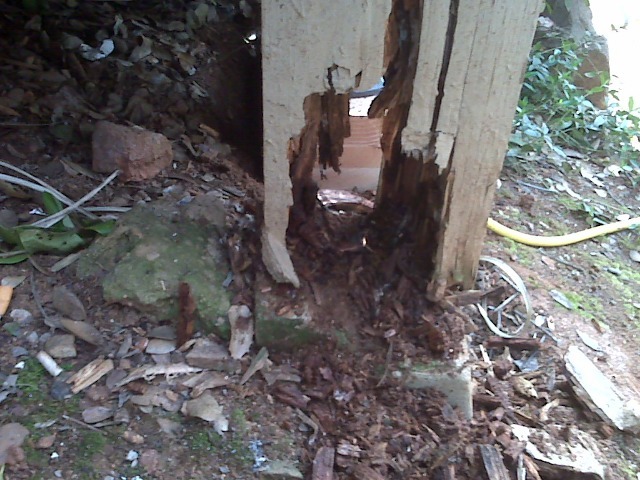 Sitting in the moist ground for a couple of years can cause the siding to decay. This may sound a bit extreme, but we see it all the time. Sometimes it is a leaking window frame, or a clogged gutter spilling over the top, or paint pealing off on the sun side of the house. The beginning of water damage comes in all sorts of ways, but they do come. I believe that all homes have some sort of water damage – to some degree. Most homeowners just do not realize it yet. Checking for early signs, and potential problems is the answer. If you discover that you do have a water damage, dry rot, fungus or some form decay that you have a concern with ask for help. Ask a friend or relative if they know something about your situation. If they can help that would be a good start. But do not be afraid to call someone who has done this before. A licensed contractor in your area will be more than willing to give you good advice. I’d call a couple of them. Talk to them get some knowledge about what is involved. If he’s there for a free estimate, do not burn up his day picking his brain. 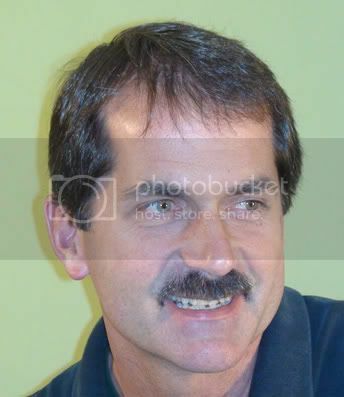 You may need his help with this situation, see if you are comfortable with what he has to say. Tromler Construction is based in Placerville, but we work in surrounding areas like Cameron Park, Folsom, El Dorado Hills, Sacramento and beyond. We are always willing to explain what has happened and what we would recommend that you do to resolve the problem – for free. Early detection is important, and can save you a bunch of money in the long run. Great article, we are currently educating homeowners in the Atlanta, GA on the very same thing. We typically specialize in water damage after a flood or busted pipe, but many people are surprised at the amount of water damage that can be caused by just not having regular maintenance. Thanks for the comments Chris. I’m sure you would agree; an educated homeowner can make a well informed decision. If the damages are not attended soon, it can result into a big loss. Many a times, water damages occurs due to the growth of weeds and grass, and they should not be allowed to grow at the sensitive areas, like the roofs and the corners of your rooms. Thanks Ben. You are right, property owners need to attend to these situations. Often times they are not aware of the problem. I would suggest a regular property check. Many general contractors, including myself, would be more than happy to evaluate a property at no cost. It is really true that prevention is better than cure. We, as a water Damage Restoration Company, often advice our clients to do regular checking and maintenance of their water passages and other parts of the house that are vulnerable to water damage. For the property owner, prevention is best. If you can’t catch everything, at least notice it early. If there is a problem, then contacting a water damage restoration company like ProTech Water Damage is probably a good choice for restoration. This is the right website for anyone who really wants to find out about this topic. You know so much its almost tough to argue with you (not that I personally will need to…HaHa). You definitely put a fresh spin on a subject that has been written about for many years. Excellent stuff, just wonderful!